Kirkland's sent me one of their new beehive lamps to check out and I was really impressed! I love and am still figuring out where to put it but I think it might land in the bonus room! I have been a big fan of Kirkland's in the past on my e-design boards and in my home! They always have a chair, chest, lamp or mirror that gives you a lot of design bang for your buck! I am super excited because Kirkland's wants you to jump on the bandwagon too! They are offering you a $50 gift card! Yippee right??? Go to Kirkland's website and leave a comment telling me what you would choose! You MUST ALSO tell me how you follow me and give an email address to contact you! *The winners of the Willow House and Oh Smile Giveaways will be announced on my facebook page TODAY! Wow! I didn't know Kirkland's had so much "online only" stuff! Love the furniture! But if I win a gift card, I'd stock up on some Christmas decor like the a couple of feather trees and glittered reindeer ornaments! I love the Golden Rosette Mirror. Perfect size for a console table anchored by lamps. I love some of their new stuff! I had no idea you could shop Kirklands online at all! I would use the gift card toward purchasing the Antiqued Metal Trunk set of 2 and put them in the guest room to hold extra blankets and pillows. I follow on twitter and google reader! I like the Jackson Medallion Rug. I follow by GFC and Facebook. I would go for the coat rack or the mirrored cabinet! 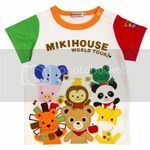 I follow you on twitter and through blogger! My wall needs one of their weathered wood clocks! I would select the mirrored cabinet for my front entry way. I could totally use something to freshen that area up! I follow you on twitter besides the blog. I love the ivory tray table. Oh I totally want that gold bamboo tray table! Otherwise I'm sure I could find some awesome art for our master bedroom! :) Thanks for the great giveaway girl! Oh... I read your blog everyday and follow you on Facebook! I follow you with Google Reader. Just went to Kirklands for the first time on Friday and I loved the sunburst mirrors. Great Christmas ornaments too! I would get the World Santa framed print. One of my friends has been eyeing it since last year. It would make the perfect Christmas Gift to her. Would love the gold sunburst mirror. I follow you by email and on Facebook. I love the portsmouth coffee table I follow you on blogger. katie dot bindrup at gmail dot com! Following you via GFC and Facebook! I like the ivory tray table! Lovely giveaway! P/S: Come by and enter my current giveaway for a chance to win a $65 gift cert for some new pretty pillows if you like, Shelli! Oh, that blue dresser please! So beautiful. I love their things. Have a great week my dear! I am very tempted by the set of 3 glass apothecary jars! I follow on google reader. OOhhh, love so many of their decor pieces, love the beehive lamp, I may need 2 of them, and the smoke glass lamps, apothecary jars-always love to have them, the Minogue mirror, on and on! I love Kirklands! It is one of my favorite stores! I might put the 50.00 towards the Claire arm chair! Ooooh because it is Christmas, I'd definitely pick one of the Christmas Sentiment Canvases. Or all of them...So great. I'm a follower for sure! I love the Mirrored Manhattan Chest! Soo cute! I like the antique metal trunk set..but need curtains (so the blue embroidered or blue pintuck are catching my eye). Follow by bookmark. ppullen9 (at) gmail (dot) com. I'm a follower! I'd love any one of their round mirrors. Kelly's Korner and started following immediately! Love it! I love the Portsmouth Coffee Table! such a cheap option for the industrial chic ones I've seen from Restoration Hardware that I adore! I would definitely choose a mirror! Kirklands has great mirrors. I follow you in my RSS reader. that beehive lamp is amazing! they must have a great buyer there. Love the ivory tray table! I follow you via email. I would love the Golden Rsette Mirror or the Minogue mirror. I would love to have a gift certificate to put towards the Juliette Wall Clock! A mirror for sure....several I have my eye on. Read your blog daily! WOW! LOOOVE the Brown Munroe Storage Ottoman!!! Great giveaway-thanks Shelli! Oooh! I want the Portsmouth console so bad!!!! It is coming home with me either way! I follow you on google reader. I love the Minogue Mirror! I love their mirrors and I read your blog daily. i follow your blog! i would buy the kirklants minogue mirror! my office is naked! jennywinstead at gmail dot com. Commented above...follow you on Facebook! I'd go for this lamp! I follow you in google reader! Great giveaway! I honestly love those lamps, I need some for my bedroom. I follow you on google friend connect! I love the Portsmouth Coffee Table!! I follow you on google friend connect! Love, love, love that blue three drawer dresser, would look great in my living room. Follow you on Google Reader, thanks! I love the Mirrored Cabinet and the Smoke glass table lamps. I follow you via Facebook. so much great stuff to choose from! love the antoinette chairs! hosting a fun giveaway too this week. come on over and enter! They have great stuff, but I need a table lamp and the Smoke Glass Table Lamp would go perfect in my room. The Tabletop Clock Camera is pretty cool too. I follow you via Bloglovin', Facebook & Twitter. Fab blog! Love your blog! My upline is Bridget with WH. :). There are so many things great at Kirklans right now! 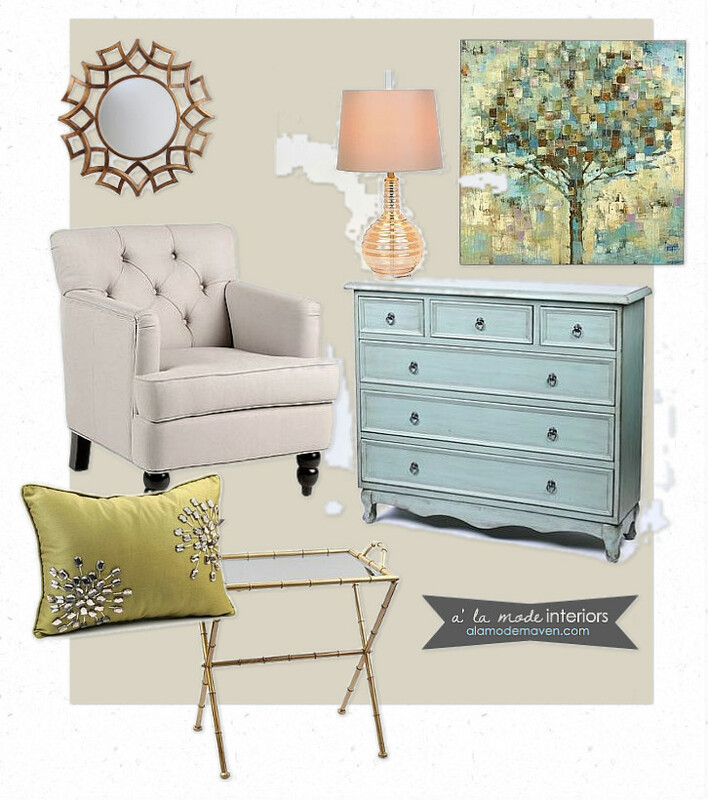 Love the mercury glass vase, the mirrors and console pieces! I follow you on FB. I would love one of the fancy mirrors for the entry way in my new house. We close December 19th. Love the blue distressed chest and I also really like the beehive lamp! I follow your blog and love you on Facebook, too! Hope your holiday week is off to a great start, Shelli! I love the ivory tray table. Thanks! I have never even heard of Kirkland's but the smoke glass lamp is gorgeous. I follow your blog every day! I follow you on Facebook, twitter & on here! 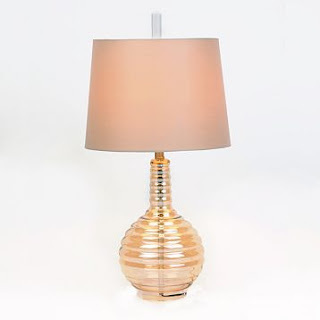 I love the Beehive Table lamp. It would go perfect in my master bedroom. I actually would need two. I have been searching everywhere for that color base. So perfect! I started following your Blog from another Blog that I view. It was either Kelly's Korner or Naptime Diaries. It's been so long ago I don't remember! Here is my email: graylynn.rodrigues@gmail.com! Hope I win! I would love to add their mercury hurricanes to my mercury collection! Love the Linen Houston Chair! And I follow you via GFC. I love that gold starburst mirror. It's one of those things I'd never buy for myself. I think I would stock up on some new Christmas decor - I like the Christmas sentiments canvas & the feather trees. I love the garden benches, esp the Scroll Garden Bench. I follow in GFC and I am an email subscriber. I'd definitely get the Golden Rosette Mirror! I subscribe via Google Reader!! I love the flying pig lamp, HAHA!! and I could fill my house with pictures so I would probably pick out a ton of those. Want that canvas tree print...love!!! I love the Barlow mirror, just wish they had one bigger. I would get the Pre-Lit Holiday Branches, Multi-Color. Been wanting them ever since I saw them. Everything at Kirkland's is marvelous, its hard to decide on one item. But, I would choose the Minogue Mirror. I have followed you on Google Reader. And I found your blog through Rhoda's blog, Southern Hospitality. I love the Blue Calypso Table from Kirklands!!! I love love love the Golden Rosette Mirror! I'm an Alamode follower via Google Reader, love your blog! I really want the blue distressed chest for my foyer of my new home I'm currently building! I love the Malibu Table Lamp. Im a follower via Google Reader. I'd get the mirrored cabinet for our entryway if I won. Fingers crossed! I follow you via e-mail subscription. I love so many things but I would choose the print of the ways to love a child, I also love the Nativity scene. Hard to choose from so many nice things. Thanks for the giveaway. I would get some adorable Christmas Decorations for my college apartment!! Possibly the Santa Pillow, or the Holiday Dot Beverage Dispenser!! I follow your blog- and love it! I am loving the Capiz Table Lamp. I love the light blue chest or the Rosette mirror! Hard choice! I follow you through blogger. I went through the entire Kirkland site and my favorite things are the beehive lamp and mirror you have chosen on your board. I have that blue table behind one sofa in my family room. Bought it because it's cute and is narrow. I love ALL of Kirkland's Christmas Decor! 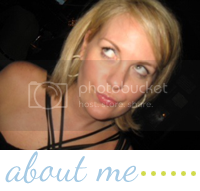 I found your blog through Kelly's Korner and check in pretty often. I have been eyeing that blue chest for awhile! I follow your blog...one of my faves! I would love to add the Portsmouth Console Table to my living room!